Our custom tunes are developed and proven on a chassis dyno to give you the best tuning available. 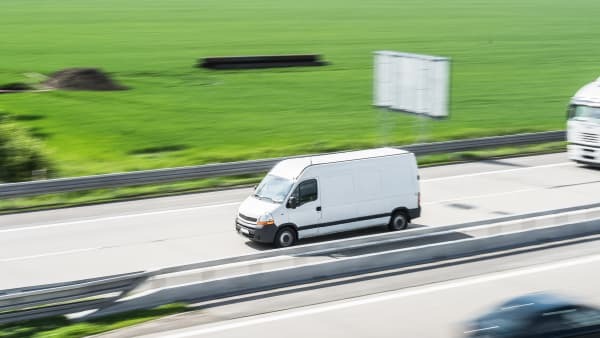 We have tunes available for a variety of applications: performance, towing, fuel-savings, highway, heavy traffic, or a simple general tune for your daily driver. What is a custom tune? 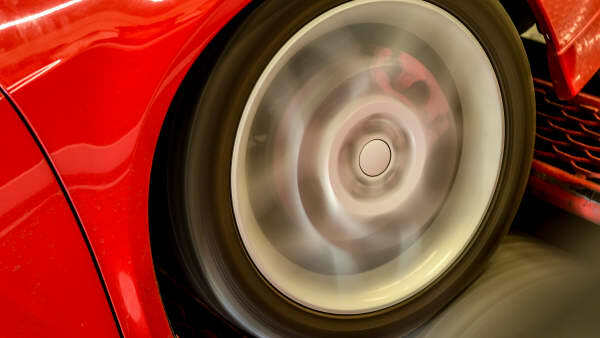 Tuning is the process of rewriting the stock engine parameters for improved performance. A custom tune is written specifically for your vehicle, including any modifications. The tune is not only developed based on your mods but also on the specific application of your vehicle. For example, we offer custom tunes for performance, towing, highway driving, city driving, max fuel efficiency, as well as a general tune for your daily-driver. When you order an International Dyno Custom Tune, the order form asks you to list all of the engine modifications you’ve made to your vehicle. This allows us to build a custom tune that usually provides the same level of performance as if you came in for a chassis dyno tuning. 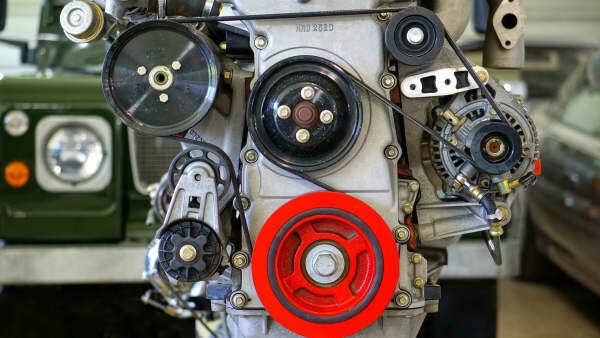 A custom tune is unlike the cheaper “canned tunes” which are generic one-size-fits-all tunes and do not account for engine modifications or specific applications. New vehicles come out of the factory with generic parameters that are suitable for an average daily driver, to get decent fuel economy, to provide adequate acceleration when needed, and to offer an overall smooth drive. An International Dyno Authority Custom Tune will adjust your vehicles parameters to deliver the task-specific performance you need because we don’t all drive the same or under the same conditions. Some vehicles spend most of their time in stop-and-go city traffic, while others regularly commute long distances at highway speeds. Some of us want pure performance, some need to tow a trailer regularly, and others just want the best possible gas mileage. You choose the type of tune you want based on your driving habits and we will customize it to your needs. This is a common question and the technical answer is “no.” In fact, we have seen a number of our local dealerships selling the exact same handheld programmers that we do. But, it is still not a straightforward and unqualified “no.” The videos below do a good job of explaining this in more detail. 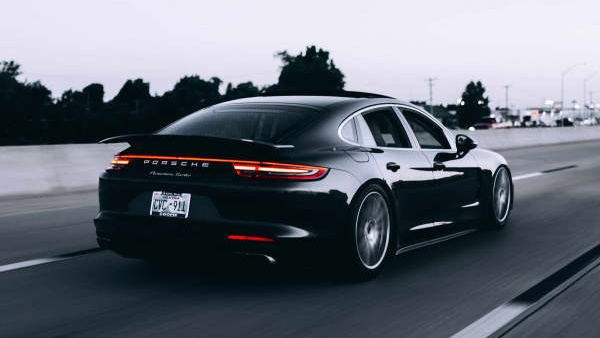 However, in order to help ensure your safety, the safety of your vehicle, and to help avoid potential warranty issues, all of our tunes are kept within OEM specifications. We have seen numerous vehicles on our chassis dyno, which had custom tunes installed from other suppliers, and found many settings well outside of factory specs. We have sometimes seen these improper tunes cause cracked manifolds, leaking valve cover gaskets, scored cylinder walls, and detonation. 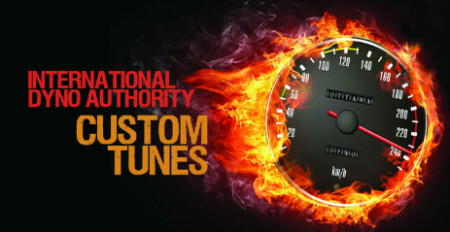 Stay safe and purchase your tune from International Dyno Authority. Will performance tuning void my warranty? How do i purchase an International dyno authority custom tune? Select a package below and complete the online order form. We will contact you within 24-hours to arrange payment and confirm your order and compatibility with your chosen programmer. 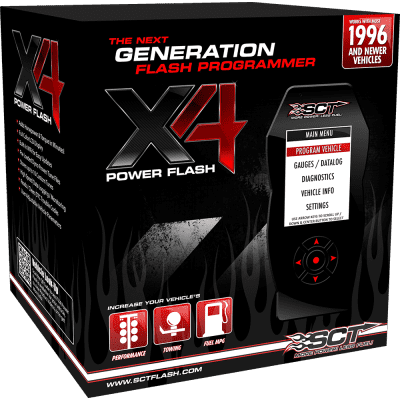 After payment is received the programmer will be shipped to you (usually 2-4 days for delivery) and the custom tune will be prepared and emailed to you within 24-hours. Installation requires a computer to upload the emailed tune to the programmer. Then simply plug the programmer into your ECU/PCM and follow the step-by-step directions on the display screen. If you run into any problems we are here to help 7-days a week. We are confident that you will be satisfied with an International Dyno Authority Custom Tune and will enjoy the improved driveability and responsiveness. We are so confident that we offer a 30-day money back guarantee. If you’re not happy with the results, just set your vehicle back to stock and return the programmer to us (in original condition) and we’ll be happy to provide a full refund (just be sure to contact us before any return!). If you make a modification that affects your vehicle’s aspiration within 90-days of installing one of our custom tunes, you can send us the map file via email, and we will update it to match your mod at no cost! * After the 90-days, at any time within one year from the original date of purchase, we can still provide an update to your tune for only $99.99. So, there is no need to hold off on tuning until after you install those headers you’re planning on buying in a few months. With our remapping program, you can enjoy the benefits of a custom dyno tune today! There are numerous scenarios where a second tune can be practical. Our custom tunes are designed for specific applications. We offer performance tunes, towing tunes, best fuel economy tunes, traffic tunes, highway-driving tunes, and daily-driver tunes. But if you routinely use your vehicle for very different applications, you may want to invest in a second or multiple custom tunes. For example, if your big F150 is your daily driver but also tows a heavy 5th wheel camper in the summer, you may want a tune for fuel economy and a tune for towing to give you the security of extra controllability as you haul down the highway with the family. We’ve also had customers who run highly modified vehicles as a daily driver on a general tune but switch to a performance tune when they take it to the track on the weekends. Other drivers use their vehicles for seasonal work. So, if you carry tools in the back of your pickup all summer, and then put a plow on the front for winter, you would definitely benefit from a two-tune package. 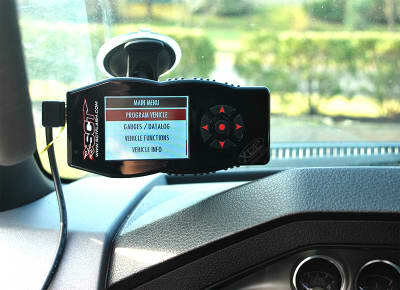 You can alternate between tunes with the handheld programmer or you can add one tune in your vehicles “normal” mode and the other in the “sport” or the “towing” mode (if equipped). If you are ordering a multiple tune, just make a note on the order form as to which you would prefer. You’ll find less expensive tunes online, but many a customer has come into our shop, having purchased a cheaper tune, and were dissatisfied with the results after experiencing problems such as cracked manifolds, leaking valve cover gaskets, scored cylinder walls, and detonation. To remedy the issues we had to retune their vehicles on the chassis dyno – in the end, they paid more for that ‘bargain’ than if they had purchased our custom tune in the first place! All of our programmers preserve the stock tune and allow you to switch back-and-forth from custom tune to stock tune at any time. 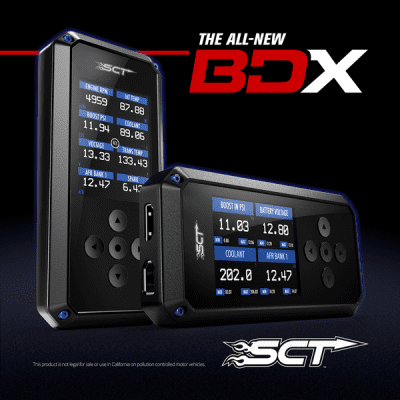 The SCT programmers can be left connected to your ECU full-time, and the programmer can be mounted to your windshield or dash to display real-time sensor data such as EGT, air-fuel ratio, coolant temperature, etc. NOTE: not all programmers work on all models. 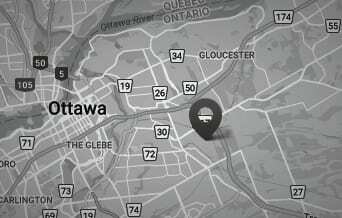 If the programmer you select is not available for your vehicle, we will contact you within 24 hours to recommend an alternative programmer.